Hello . My name is Paul . I’m from the UK . I do not smoke or drink . I like swimming ,cycling gardening ,cooking ,archery ,and painting . I am an easy going kind guy . I have a good sense of humour ,and am positive . My height is 5 10 . I am fit for my age . Just lookin* basically for someone to be with for the rest of my life . I am loyal ,honest ,and sincere ,and very loving . I care for the one I love ,and I will love you without condition .So be prepared to be pampered . I’m just a very nice relaxed guy ,who will never ever hurt you in any way . 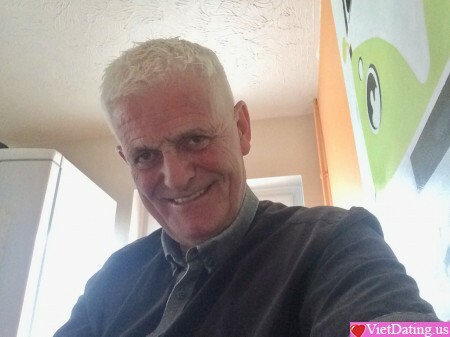 I like Vietnamese people and this is why I am Looking for a Vietnamese lady . Money does not bring real love . But being sincere with your partner does .